Wow, it has already been a full year since One Life To Live disappeared from the daytime television landscape! Time really does fly, but not necessarily for the diehard fans that tuned in for decades to see what problems Vicki was dealing with and just what the Buchanon men were up to! 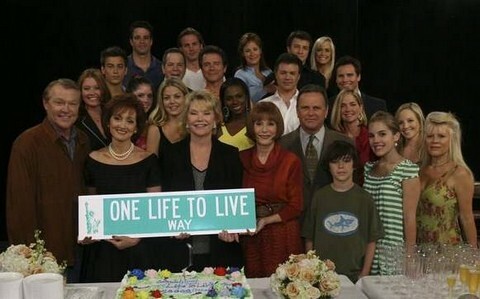 Rumor has it that 2013 is the year when OLTL will be brought back to life via the internet, but would all of our favorite actors be willing to return? Where are they now, a year after the stage went dark? Well, in the current issue of GLOBE (January 14th print edition) we find out where some favorites are now and how they are occupying their time. Jerry Ver Dorn (Clint Buchanon) took it as a sign from above that it was time for him to retire, but not before the sadness and depression set in. “Some of the people who had been on for more than a decade were really traumatized by the swiftness of their work being taken away.” Jerry is now happy enjoying his family and writing a bit here and there. He wants his fans to know that he’s healthy and fine. Robert S. Wood (Bo Buchanon) was with the show for more than 30 years and is now somewhat retired. He believes he has memorized more in his years than most big screen actors, but still is thinking about working again. How are some of your other favorites doing? Grab the January 14 edition of GLOBE to find out for yourself!